If you operate a truck or work in an emergency service vehicle say an ambulance, for instance, you are aware of the need for amber LED light bars. Basic physics has it that light travels faster than sound and so the LED light technology applies this aspect of science to achieve its goal in different areas. Its goal being an achievement as an effective alert, emergency, and warning equipment. And with the right LED light bar you are able to effectively get the best emergency/warning lighting in terms of durability, affordability, and efficiency just to name a few merits. However, with the wide range of variety on the market making a purchase choice can be a cumbersome and sometimes confusing affair. Fortunately for you, we have gone through countless product reviews, consulted with product experts and even visited stores with relevance to amber LED lights so that we can save you the trouble of doing the same. By reading this article you will realize that the buying process for a LED light bar will be eased as it comprehensively includes everything you need to know to help you get the best amber LED light bars as well as how to make them serve you best. According to our extensive research on this matter, we settled on the following three as the top amber LED mini light bars based on their convenient usability and efficiency features. 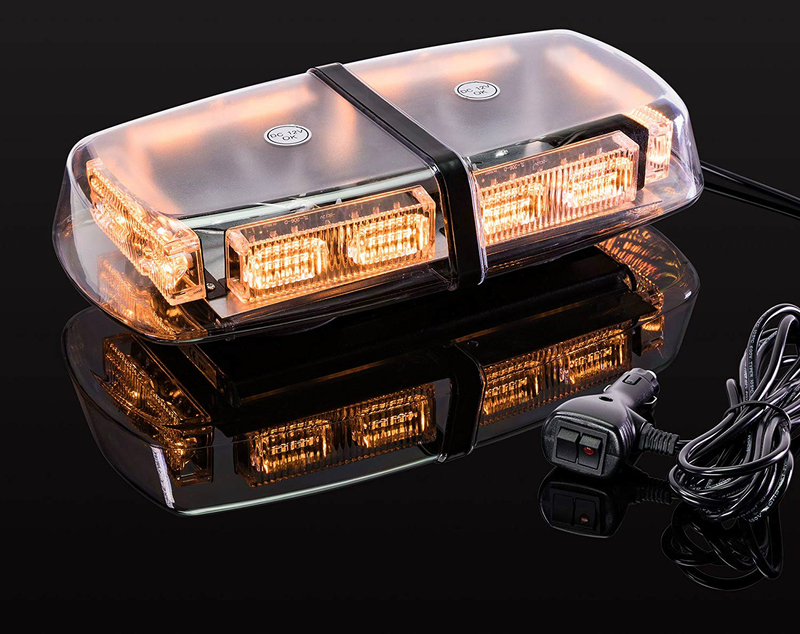 The illuminating ability of the LAMPHUS NanoFlare light bar qualify it as a top of the line amber warning light, perhaps even the mother of amber LED lights if we may say so ourselves. This is made possible by the 56 high-intensity LEDs that make it the brightest LED light bar which enables it to function day and night with 63 different flashing patterns subject to memory on the last used flash pattern. The Ultra-bright LEDs facilitate a 360 degrees coverage in its warning light coverage, not to mention the ultra-durable sleek finish that makes it among the ideal amber emergency lights for law enforcement and emergency as well as public safety experts. It is the brightest of them all. Comes with both mounting options. A wide range of unique flash patterns for an amber flashing light. Be ready to spend some big bucks on this one. The DT MOTO LED Mini Light Bar is all about convenience in emergency lighting. Its sleek durable design will give you value for your money because emergency lights as efficient as this do not come at such a bargain. We are talking about features like: 36 watts of high-intensity LEDs on a plug-and-play easy to use 12-inch light bar. All you have to do with this one is mount the Mini light bar on your roof, plug it into a standard 12V DC cigarette lighter and let the 14 magnets and two pods hold it in a sturdy position. Also with a high IP rating of IP66, this emergency light bar has been tested and proven to be able to handle the extremities of the outdoors quite effectively (almost as good as solar outdoor lights). Its qualities and affordability make it ideal for EMTs, traffic crew, construction workers, police and firemen in need of economical emergency lighting. Very high IP waterproof rating (IP66). Convenient to use with the plug-and-play design. There have been complaints about its magnetic base not being as strong. Efficiency and durability, these are the qualities that come to mind when talking about the LAMPHUS SolarBlast Mini Light Bar. Equipped with 34 watts LEDs built with SolarBlast optic lenses, emergency illuminating just got brighter. Not to mention the 30 flash patterns designed to efficiently operate in simultaneous, alternating and rotating sequence in several flash rates. On the durability aspect, this warning LED light bar spots a worthwhile feature of a sturdy polycarbonate cover that protects its 360 degrees LED output. The qualities depicted by this LED Mini light bar from super bright LEDs, easy installation (comes with both magnet and permanent mounting options), hard outer covering with resilience against external interference to ease of use, this emergency strobe light is perfect for anyone with the need for warning emergency lighting for whatever relevant use whether domestic or public. SloarBlast optic lenses that maximize its light intensity. Not as bright due to its red and orange color instead of the conventional yellow light bar. An emergency or warning light is meant to operate on the external environment, which can sometimes be radical yet their basic function is to offer a cautionary signal to impending danger, to make alert or to avoid an accident. It is for these reasons that they need to be durable and as bright as possible. The idea is that the brighter they are, the further they can send their cautionary or alert signal, whereas, the sturdier they are they better they are at executing their functions for as long as they possibly can. When conducting the search for the best amber LED light bars the basic aspects in our consideration of factors entailed two major things, that is; efficiency and durability. However, the LED lights industry has become quite competitive and as result, a lot of LED light manufacturers have delivered in these basic features. This made it quite challenging to pick one, two or even three of the best. Nonetheless, after a cumbersome search through amber LED light product reviews, online consultations with LED light experts and an even harder compilation of amber LED light features; which we promise are plenty, the three above emerged top. This conclusion was arrived at not only based on the brightness efficiency and durability features but also convenience in aspects of installation and usability. 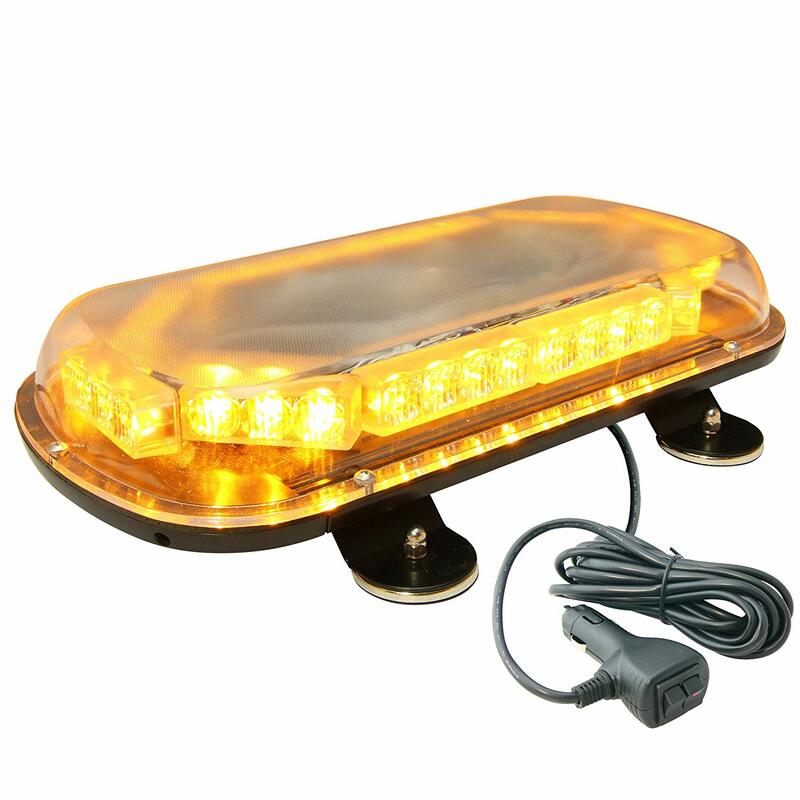 Amber warning lights take for instance the amber LED warning lights for trucks need to be waterproof, have an impervious outer covering, and a sturdy mounting grip considering the kind of environment this kind of light bar is likely to operate in. Amber light bars also have a versatile list of uses which generally depends on you as the individual purchasing one. And so versatility in function makes one more efficient to the next one. For instance, a LED lamp with 63 unique flash patterns is a much more useful than one with 34 unique flash patterns, or one with more than one mounting options serves a wider category of users compared to one with just one mounting option. However, with all these features in mind, there is also the budget factor since the extra features come at an extra cost quite literally. The better functioning of your amber light bar is the more it will probably cost. And so whatever the cost, the general idea is that you get the best value for your money at the end of the day. The three amber LED lights above according to our findings offer you the best value for your money. However, maybe none of the three amber LED strobe lights that we arrived at is the one for you, worry not. As we were conducting our extensive amber LED light research, we stumbled upon a great deal of information that would most definitely guide your emergency light purchase process. Keep reading and we’ll make sure that you do not leave empty-handed, figuratively of course. LED light bars are lighting equipment that entails a series of high intensity LED lights combined to provide a brighter and broader stream of light. They are designed so that they function to provide a cautionary, notification lighting for emergencies or to offer warning. The designs account for the different uses that come with it. That includes; night driving, emergency vehicle operation, campsite lighting and even work area illumination. To deliver in whichever aspects that a particular amber LED light bar is purchased for, this lighting tool consists of a comprehensive structure designed to enable it to achieve its required function. This structural design entails LED lights suitably combined on a bar for a collective illuminating enhancement. The bar is a special kind given its different structural components such as a built-in mounting system and wiring connectivity access for the LED lights to provide other convenient functions relative to the different warning light’s functions. Speaking of mounting systems some LED light bars especially the kind used on vehicles which accounts for most types, have a magnetic mounting system for an adjustable installment, whereas others have a permanent mounting system yet there are those that come with both. As a powerful light source this equipment needs a power source and just as manufacturers are different, so are the LED light bar construct’s power source. Some LED lights use a special LED light batteries while others have plug-in cigarette lighters which are way more expedient. Also depending on the type of LED light in use there are rotators as part of the light bar’s construct, which function to adjust the flash patterns of the LED light bar to convey different signal messages. The higher the number the more efficient the rotators are which culminates in a LED lights bar’s efficiency in general. Heavy duty work vehicles – snow patrol, tractors, and graders are some heavy-duty vehicles that operate within dim settings. A high-intensity illumination such as the kind provided by a LED light bar can be quite useful to ensure the most efficient outcomes. What Other Options to LED Lighting are There? Of course, LED lights are not the only commercial, high-intensity lamps in the illumination equipment industry, however, they are the most efficient as we found out. Nonetheless, you may be more in the pursuit of affordable lighting rather than efficient. Well, if so then there just might one among the following list that is affordable and efficient for you. It entails a tungsten filament confined in a bulb with a halogen or iodine gas. This is an enhanced version of a tungsten vacuum lamp. The halogen lamps are a commonly used on vehicles today and are a preferred manufacturers’ choice due to the use of smaller wires, switches, and alternators. They are also comparatively affordable and last relatively longer in terms of their functional lifespan. The halogen lamps get a high filament temperature which can be a setback considering the power wasted in the form of heat. The tungsten vacuum light is more of an old-school lamp which entails a tungsten wire filament enclosed within a vacuum and heated by an electric current to produce light. The tungsten vacuum lamp would be ideal for a car in the 1930s, now, however, they are only utile for license plates and to illuminate directional signals. Today there are more demerits to using this kind of lamp over merits including high electrical output, low brightness, and a short lifespan but it sure is cheap. High-Pressure Sodium lamps normally referred to as HPS lamps are made of a mixture of specific gasses scientifically combined to high-intensity plasma lighting from the metal salts (mostly sodium) contained in the mixture. They usually are highly efficient as per lighting intensity. However, it is not a recommended for commercial or emergency use since it takes relatively too long to start-up. To counter this drawback manufactures supplement the sodium with mercury and use neon or argon. However, mercury is highly toxic. The HPS lamps are mainly used on street lights. This light type also referred to as an HID lamp is an overall advancement version of a halogen lamp. The HID lamp structure entails an electric arc passed through gas mixtures with metal salt content to create a high-intensity plasma. Unlike its counterparts, this is the only LED alternative on this list that possesses the ability to change color which is achieved by adjusting the gas salts mixture. It is, therefore, the most efficient among the lamp types mentioned above given its conveniences and efficiencies which include brighter illumination and a longer lifespan. Unfortunately, it does have some shortcomings which include causing dirty lenses and the fact that its manufacturing materials are expensive to come by. From the alternative compilation above you would get a cheaper alternative to LED lighting, which hopefully would entail the efficiencies you require from a lighting medium. However, if the value for money is what you seek then we can assure you that LED lighting is the fairest of them all. The LED lighting bar variety is wide and within that vast variety, there is a fair one just for you. The LAMPHUS NanoFlare Mini Light Bar may the best LED mini light bar but that does not make it necessarily suitable for you. Every user has their own needs when making a product purchase, which is why we came up with this section of the article to guide your buying process so that you may acquire the best-LED lighting bar for you. The following compilation is a LED light bar buying guide where we have listed the different areas that LED light bars are used in and how these different fields demand different features. From this detailed compilation, you should be able to identify your category or one that hits closer to home and see what major feature you should be on the lookout for while evaluating for LED lights bars. For truck drivers that use their trucks for either work, leisure or both they are aware of a LED light bar’s importance when on the road. A lot of truck drivers that use their trucks for commercial use, for instance, operate during the night. And if you are among them then you are conscious of the fact that headlights are just not enough to illuminate the dark ways ahead as amber strobe lights for trucks would. Also, a red LED light bar works well behind trucks to ensure that drivers that come behind you are well aware of your presence on the road. But to ensure this night visibility the best-LED light bar for a truck driver needs to achieve in two extra factors apart from the usual mentioned above. These extra factors include; brightness and light beam angle. The beam angle entails the depth that the LED light bar is able to penetrate as it illuminates. For a truck driver at night this depth needs to be as extensive as possible. As for brightness, it is basic knowledge by now that the brighter the better. However, you need to measure this brightness which is done in lumens to indicate how much light visible to the human eye a particular lamp outputs. LED lights have become a utile aspect in the components that make up an emergency public service vehicles such as police cars, fire trucks, and ambulances. LED lights play a crucial role in the working environment that emergency vehicles operate in. Their basic function, in this case, is to alert other drivers, pedestrians and the general public of an emergent situation that need urgent attention so as to facilitate a particular reaction. The different emergency vehicles perform different emergency functions and so the message portrayed by the light signals differs depending on the type of emergency vehicle. It is majorly for this reason that when buying a LED light bar you need to consider the color and the flash pattern options. A wider flash pattern variety help create more distinguishable signals while alerting the public on different emergencies. LED lights also come in a variety of colors including blue red and white. Depending on the type of emergency vehicle you operate, the color of light portrayed by your LED light bar helps to distinguish which kind of emergency you are dealing with to the public even before your vehicle is in sight. For instance, a blue and red LED light flash is definitely a police car. The sea can be quite a dark place at night but not when you have the right LED lamps with you. LED lights make excellent navigation lights while you are out on the water. They are also used to light up docks and landing sites and can be used as lighting equipment internally as well as externally on the boat. 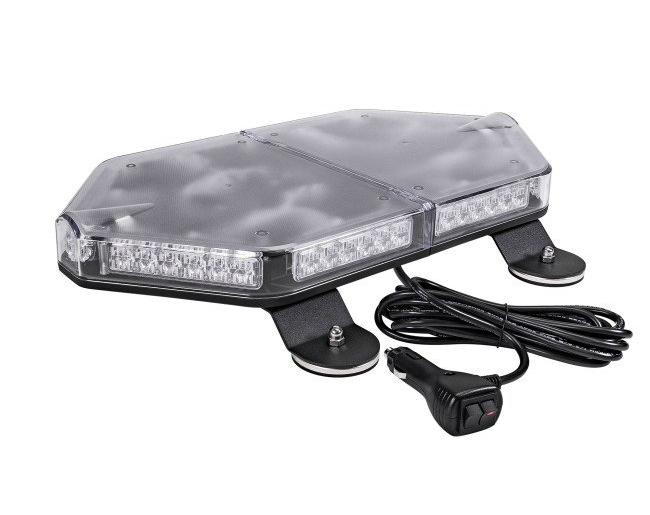 For a marine LED light bar, the factors to consider before the purchase include; the color, the light bar’s operating voltage and of course water resistance. It goes without saying that a marine LED light bar should be waterproof. However, the water resistance ability for the different light bars differs so you should check for a high IP code which is the standard measurement system for water resistance for light bars. As for color, white or yellow LED light bars are the most preferred options given their higher illumination abilities which can be quite utile at sea in reaching a greater depth penetration. You should also check the Light bar’s operating voltage to ensure that it suitably matches your boat’s electrical system. Off-road vehicles also do well with LED lighting in the illumination of the path. The visibility factor is improved way more with the LED light bars installed on your off-road ride. However, given the conditions of operation for a LED lamp on an off-road vehicle the factors to be on the lookout for include a sturdy mounting system and a high resistance to water and dust penetration. Some LED light bars have magnetic mounting options as the only mounting option. For an off-road vehicle which customarily is meant to maneuver through a rough terrain, a magnetic mounting system may leave your LED lamp on the ground and hence a permanent one is the most viable option in this case. 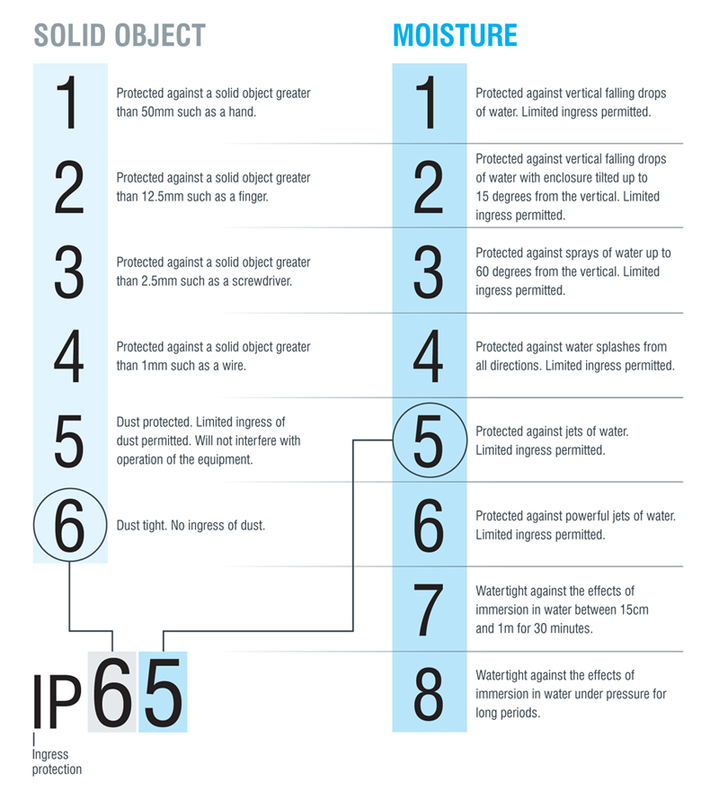 Also, check its IP code for a high water and dust resistance ability before you purchase. LED lights are also used to light working areas such as construction sites during the night for a more effective and extended work period. And so to reduce the margin of error a LED lamp is added to the work site to illuminate the area which goes a long way in achieving this effectiveness. With respect to this function, when purchasing a LED lamp the most significant factor to consider is size and shape. The different LED light shapes include rectangular, square and circular. The circular shaped LED light bar fits a lot more LED lights in a small area which is the best for the spot function and is more complimentary for vehicles. For a work site LED lamp, however, a floodlight is more efficient hence a rectangular shaped LED light bar is what you should be looking for. There are variable LED light bar sizes ranging from mini LED light bars to full size LED light bars. The bigger the size the wider the beam coverage on your working area. The LED arrangement on a LED light bar also is an important factor in this area since the different arrangements offer different beam illuminations. For a work area which is a vast space, you need a flood functioning LED lamp. Warranty – the longer the warranty the better the product you are looking at. A warranty shows the manufacture’s confidence in the quality of the product that they have created. Wiring harness – this is a feature that indicates convenience which entails a cable fuse holder, a relay, and more than one switch. Multiple circuits – some of the best LED light bars possess more than one lighting circuit which can be useful in the switching from spot to flood banks and vice versa. It also brings about change in color in the red, blue, white and yellow LED light bar categories. There are basic yet disregarded facts about the LED light features which could play a fundamental role in the evaluation process involved in making a purchase. Here they are so that you may not make the same mistake. IP89K – means that your LED lights are tightly protected against dust, high temperatures, and close range high-pressure water showers. Brightness is a fundamental feature which if you are buying a LED light bar online would be hard to determine if you have to physically light one to determine for yourself. LED light brightness is expressed in lumens which has become a standard measure of how much light visible to the human eye a LED lamp outputs. Nonetheless, there are manufacturers that add in raw lumens (theoretical measurements) instead of the effective lumens (actual measurements) of the light output. If you find yourself in such a scenario you can multiply the raw lumens by 0.8 to get the effective lumens. There is also the standard LED light bar operating voltage which for some light bars may differ thus this should not be disregarded. The standard operating voltage runs with 13.8 DC voltage. As long as the LED light voltage falls within the specified range you would not need to adjust your electrical system which would be the case if it does not. This is, however, rarely the case. LED lights have existed for a long while and their origin in time can be traced to as long as more than five decades ago. They have, however, come a long way and as such, advancements have been made to the LED lights to make them more efficient. As we conducted our research on the LED light bars we came across the term CREE LED which is latest technological advancement made to the LED lights. The CREE LED lights are the most efficient long lasting and highest quality of LED lights. Note that there is a LED light manufacturing company with the term CREE LED as its name which is not what we are referring to. Now that you know the qualities you are looking for in a LED light bar, it is only right that we help you get it installed and working in the most commercial and efficient way possible. And what is more commercial and efficient than a reliable guide to installing the LED light bar yourself? The following is a simplified step by step DIY guide to mounting and wiring your own LED light bar to your vehicle. We recommend the use of a driving light harness since it entails a simple plug-and-play design thus simplifying the entire wiring process. Mount the LED light bar – start by mounting your light bar on a suitable position on your vehicle using the options available between magnetic and permanent mounting options. Also, put into consideration the laws that govern driving light placement. Mount the relay and fuse – with the aid of a self-tapping screw you are to find an appropriate location to mount the fuse and relay which we would recommend the inner guard. Make sure even as you do this mounting that the fuse wire reaches the battery conveniently. Also, ensure that you connect the ring terminal to the positive terminal. Locate your vehicle’s headlamp wiring – you then need to find the back of your high beam headlight globe, which should be on the area closest to the relay. When you do find it, remove the plug from the back. This helps start-up the LED light bar when the light bar is activated. Attach the headlamp adapter – in the harness kit, you should find headlight adaptors from which you should choose to and connect to the factory plug so that one end is connected to your headlamp globe and a third plug to your new harness. Mount the switch – here you are to simply mount the switch in the cab. Run the wires through the firewall – here is where you run the plugged wire through a perforation to the engine’s inlet. You can make a slit or pierce it to get through. Connect the two harnesses – that entails the plug and the one coming off the relay. Connect your LED light bar – the plugs to your light bar are to be connected. That is the single plug connected to the relay whereas the ring terminal is earthed. This you can achieve through the battery’s negative terminal or via a bolt that is in metal contact to the body. Tape any additional wiring – this is where you tape the second plug. Test your LED light bar – here you put on the switch to your LED lights and the expected result is that the light bar should not illuminate until the high beam is switched on. Finishing – once the high beam and the light bar are operational in the on position you can now switch it off. What you should be looking forward to at this point is the light bar turning off leaving the high beam on. This would be an indication of a successful light bar wiring. In conclusion, LED light bars are the future of both domestic and commercial lighting. Malcolm Hogan who is an automotive expert based in the US expresses how highly likely it is that LED lighting is adopted as the standard for lighting devices. A significant category of vehicle owners, construction workers, truck drivers, emergency vehicle operators and even homeowners have turned to LED lighting in their pursuit for enhanced lighting. Expense has in the past been the only limiting factor for the LED light bars which is an effect of the high standards of quality and usability. However, manufacturers have been working on the best cheap LED light bars to create the best LED light bars for the money you can afford. The three amber LED strobe light bars mentioned above are a collective example of cost-effective and efficient lighting. In the end, we hope that this article has been helpful in guiding your evaluation and LED light bar buying process. Next story Will solar panels ruin my roof? Previous story Do solar panels produce toxic waste?